Who was Joseph Ducreaux, really? For many years professors and students of history alike seemed to think he was just a successful portrait artist in the French court of King Louis XVI of France. But he was so much more. The fact that he survived to thrive after the French Revolution tells us we are lucky to not have lost the pearls of wisdom that are now being attributed to him. 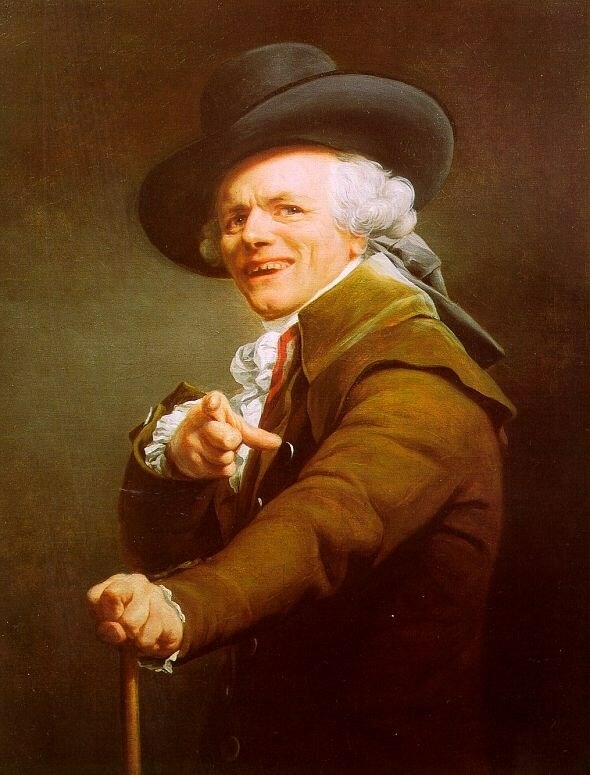 This meme started when some witty and insightful person came across the now infamous portrait of Monsieur Ducreaux. A seeming anomaly of the time, the painting shows Joseph Ducreaux in a pose that did not become popular until the late 20th century. But there he is, cane in hand, pointing at the viewer and almost winking. At first glance, he looks like a lounge act singer dressed for the completely wrong era, about to say something lounge-lizardy like “Heyyyyyy there. Lookin’ goooood!”. 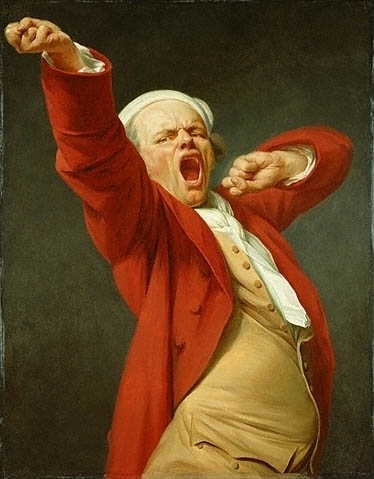 The photo of the painting, with old Joe in powdered wig and ruffled shirt really says it all, and the meme of Joseph Ducreaux took off from there. He translates current sayings into the verbiage of his time. One great example of this is “brethren Before Wenches”, which some savvy readers may recognize as a reworking of “Bros Before Hos”. When you encounter Monsieur Joseph Ducreaux, chances are he will be doing his job of rewording current slang, sayings, or catchphrases into ye olde speak of his time.